Welcome to our Dry Eye Center! Dry Eye Syndrome affects over 50% of our patients. You may be one of those people. Let our specialists at Castleman Eye Center help you! Do you suffer from any of these symptoms on a daily basis? If so, you may be experiencing a common condition called Dry Eye Syndrome. 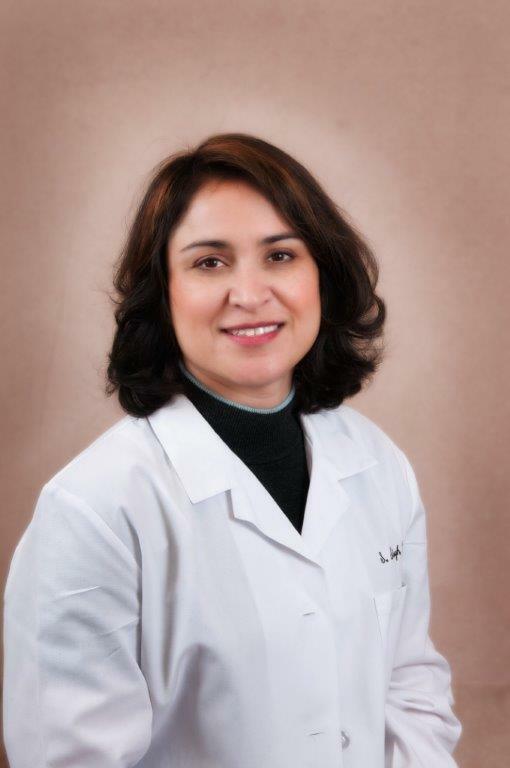 Dr. Snigdha Singh, our Dry Eye Specialist, is passionate about dry eye treatment and is always researching cutting edge methods to relieve this very common ailment. If you suffer from chronic dry eye, contact us or stop by one of our offices in Troy or Southgate for a comprehensive dry eye evaluation. Dry eye is a condition in which a person doesn't have enough quality tears to lubricate and nourish the eye. Dry eye is a common and often chronic problem, particularly in older adults. With each blink of the eyelids, tears spread across the front surface of the eye - the cornea. Tears provide lubrication, reduce the risk of eye infection, wash away foreign matter in the eye, and keep the surface of the eyes smooth and clear. Dry eye can be caused by diminished production of lubrication by the “tear glands”, or rapid evaporation of tears from prolonged exposure of the eye surface. The latter happens when there is insufficient blinking especially during activities that require intense visual concentration such as reading or excessive screen time in front of the TV, computer, or phone. Tear production tends to diminish with age, with various medical conditions or as a side effect of certain medicines. Environmental conditions such as wind and dry climates can also decrease tear volume. Treatments for dry eyes aim to restore or maintain the normal amount of tears in the eye to minimize dryness and related discomfort and to maintain eye health. If left untreated, advanced dry eyes may damage the front surface of the eye and impair vision. Treatment depends on the cause and severity of dryness. It includes frequent lubrication with drops and ointments, medications (steroids, Restasis, omega-3), punctal plugs to decrease draining away of tears and decreasing exposure from drying sources or surgically tightening the lids. Castleman Eye Center recognizes the importance of treating this problem and has its own Detroit Dry Eye Specialist, Dr. Snigdha Singh. If you experience the frustrating symptoms of Dry Eye Syndrome, contact us today for your evaluation with Dr. Singh. Nutritional supplements containing essential fatty acids may help decrease dry eye symptoms in some people. Ask your optometrist if taking dietary supplements could help your dry eye problems.